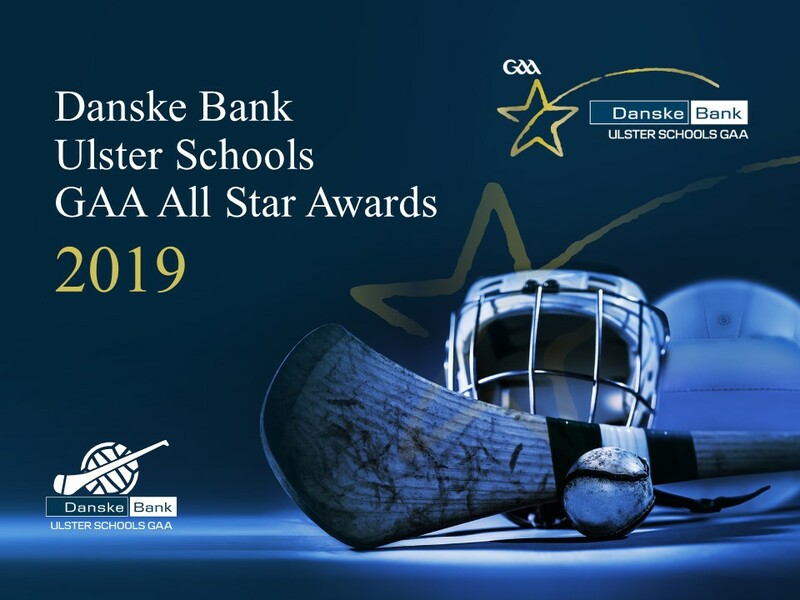 These All-stars are known as the 2018/19 Hurling All-stars and this is the 32nd year of the Ulster Schools’ All-star scheme. An Dún defeated St Patrick’s Maghera in the Danske Bank Mageean Cup final at Halloween by 5-13 to 1-10. 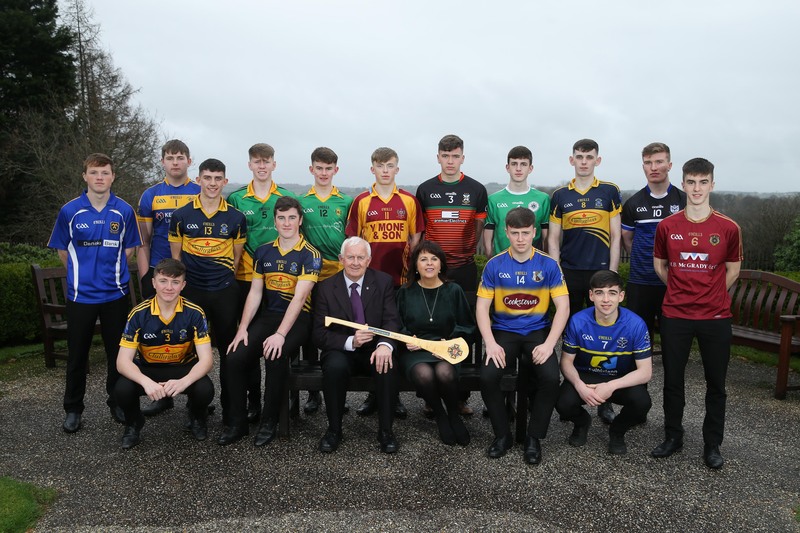 St Patrick’s Maghera have only one player, Fintan Bradley, in the All-star line-up, while An Dún have two – midfielder Phelim Savage and forward Tim Prenter both students in Downpatrick but in neighbouring schools, De La Salle College and St Patrick’s. Tim Prenter is the only player collecting a second All-star award. He was at centre-forward in last year’s team and is at centre-half back in this year’s – the last player to achieve this particular double was Christopher McGuinness in 2009 and 2010. Phelim Savage is the first player from De La Salle Downpatrick to be awarded an All-star in hurling or football while Eoghan Cassidy is also the first hurler from St Columb’s College Derry to win an All-star – there have been 6 football All-stars from St Columb’s. Phelim Savage and Anton McGrath have collected county senior medals with their respective clubs – Ballycran and Dunloy. Both their fathers have won Ulster medals with the same two clubs. St Louis Ballymena have four players in the line-up, two each from the Loughgiel and Dunloy clubs. This is the largest representation from a single school in the team. St Mary’s Belfast have two players named in the team, Cormac McGettigan in defence and Aaron Bradley in attack. This brings their total over the 32 years of the scheme to 89, which is 9 more than second placed St Patrick’s Maghera. Declan is another dual-player for club and school, picking up a Danske Bank Corn Cholchille medal with St Louis while he was a member of the Antrim under 17 team that captured the Celtic Challenge title. Niall is only the second hurler from St Malachy’s College to win an All-star. He has represented his school in both hurling and football winning a Danske Bank Casement Shield medal. At club level he has won south Antrim leagues and championships and Antrim Féile na nGael B and minor B titles. He has also won an All-Ireland under 16B medal with Antrim hurlers and played for the Saffrons at all levels from under 14 to minor. Cormac has represented his school at all levels in hurling and football winning Danske Bank Gallagher and Mageean Cup medals. He has played on the Antrim under 17 and minor teams, while at club level he has been part of a very successful Rossa squad that won the Antrim under 16 double in football and hurling, two All-Ireland Féile na nGael hurling titles and Antrim minor and under 21 football titles. Tim collects his second All-star today, having been named at centre-forward in last year’s team. He was a member of An Dún team that won the recent Danske Bank Mageean Cup final and he also holds a MacFarland Cup medal with his school, whom he has represented at all levels in hurling and football. He has represented his county at all underage levels winning an All-Ireland under 16 title and Celtic Challenge. He has also played county minor football for Down. He has recently been named in both the Down senior hurling panel and the Down under 20 football panel for the new season ahead. Tim has a Down Division 2 league medal, two minor championships and an under 16 league title with Ballygalget and has Down and Ulster titles in handball. His father and uncles have represented Antrim in football or hurling. Eoghan is the first hurling All-star from St Columb’s College in Derry. He is a dual player for the school and has collected medals for Danske Bank Maguire and Reihill Cups. Eoghan captained Derry under 17s to the 2018 All-Ireland Celtic Challenge title where they defeated Galway in the final. With Kevin Lynch’s he has won two Derry under 16 and three Derry minor medals and two of those minor teams have gone on to collect Ulster club championships in 2017 and 2018. Cormac has a Danske Bank McGreevy Cup medal with St Louis. He was a member of the Antrim under 17 team that captured the Celtic Challenge title and also won an Ulster minor championship with the Saffrons. At club level he has won a couple of north Antrim championships and was a member of the minor team that lost the recent county final in a replay to Dunloy. Cormac is also a keen boxer and has won two Antrim boxing titles. Phelim is the first player from his school to win an All-star. He was superb at midfield as An Dún captured this season’s Mageean Cup in November. He was also named as the inaugural Danske Bank Hurler of the month for October for his displays for An Dún. October was a busy month for the Ballycran clubman as he also played at midfield as his club won the Down senior championship and went on to end the Ulster three-in-row bid of Slaughtneil hurlers. He also holds a Down minor championship medal and has represented the county at all under-age levels winning a Celtic Challenge medal and an All-Ireland under 16 B title. His father Gary played for Down and Ulster and won three Ulster senior championship medals with the county. Fintan was selected on the last Derry Vocational Schools’ All-star football team while in St Mary’s Clady. Since transferring to St Patrick’s he has played in two Danske Bank Mageean Cup finals, winning one. His phenomenal scoring returns were the main reason that Maghera reached this year’s final, e.g. hitting 1-13 out of 3-13 in the quarter-final with St Mary’s CBGS. Fintan has underage medals with his club Lavey and was a member of the teams that won the 2017 Derry under 21 title and reached the 2018 minor and senior finals. He has also represented Derry in minor football and is currently a member of the Maghera MacRory Cup team. Fionntan, a dual player, holds five Danske Bank Ulster medals for the Kirk and Leopold Cups, McGreevy Shield and back to back Casement Cup medals. He is currently a member of the football team hoping to win the Danske Bank MacLarnon Cup. Fionntán has represented Armagh through the age-groups reaching national finals and with Keady has collected a host of under-age titles including three Armagh Féile na nGael titles. His father is a former Armagh county player. Aaron has represented his school at all levels in hurling and football winning Danske Bank Gallagher and Mageean Cup medals. He has played on the Antrim underage teams in hurling, while at club level he has collected under-age medals in both football and hurling, including an Antrim Féile na nGael. Seaan holds a Danske Bank Mageean Cup medal from 2015 with St Louis and he also won a Corn Cholmchille football title with the school. He has represented Antrim at under-age level winning Ulster minor and Celtic Challenge hurling medals. With Dunloy he has won a plethora of under age medals across both codes including four Antrim minor hurling, two Antrim minor football, two Antrim under 21 hurling and one Ulster minor club titles. His father won nine Antrim senior club titles and eight Ulster club titles and played for Antrim and Ulster. Sean played on the St Killian’s College team that reached the 2016 Danske Bank Mageean Cup final. Sean has played under age hurling for Antrim winning a Celtic Challenge title and an All-Ireland under 16B championship. Anton holds Danske Bank Ulster Schools’ medals for the Kirk, Casement and Mageean Cups. He has represented Antrim at under-age level winning two Ulster minor and one Celtic Challenge hurling medals. With Dunloy he has won a plethora of under age medals that include four Antrim minor, two Antrim under 21 and one Ulster minor club titles. He was also a member of the Dunloy senior team that won the Antrim championship in 2017. His father won ten Antrim senior club titles and nine Ulster club titles. Oonagh Murtagh, Head of South Business Centre at Danske Bank, congratulated the recipients at the Danske Bank reception in Riddell Hall yesterday. Jimmy Smyth, Chairman of the Ulster Schools’ Council, congratulated the recipients in announcing the team at a reception hosted by the sponsors Danske Bank at Riddell Hall Belfast yesterday. The Hurling awards will officially be presented at a Gala Dinner in the New Year.